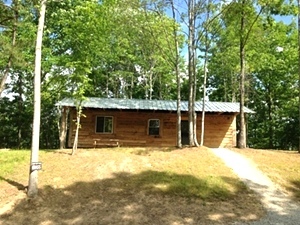 Cabin 1 sleeps 4 people comfortably. 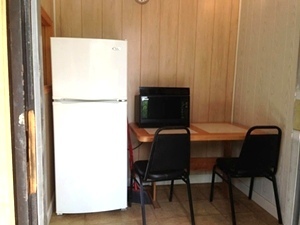 It is equipped with a refrigerator, microwave, kitchen table and chairs. 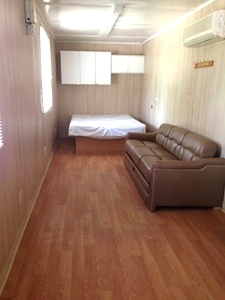 It has a full bathroom, a full size bed, and a pull out couch. 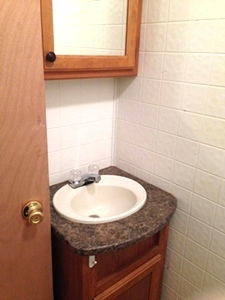 We do not supply any utensils nor do we supply any linens. Outside we provide a charcoal grill and a fire pit. 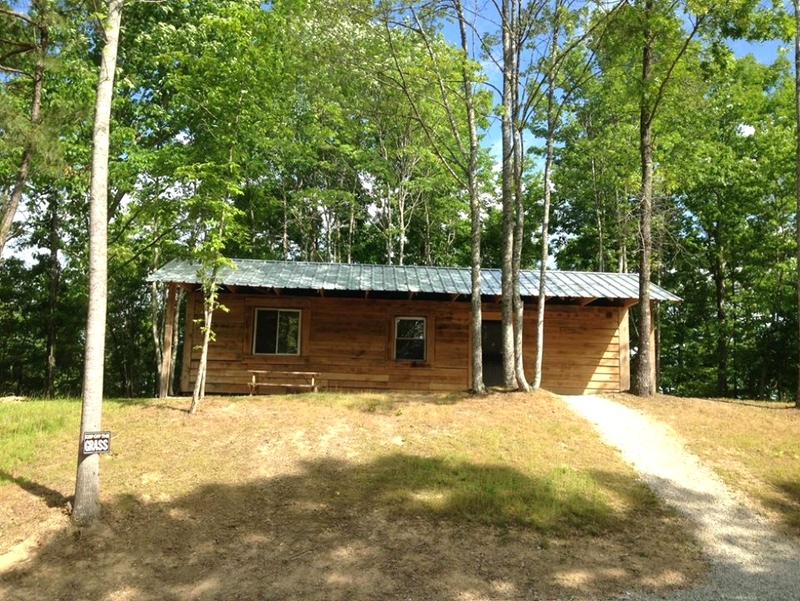 The cabin is located adjacent to our campground. 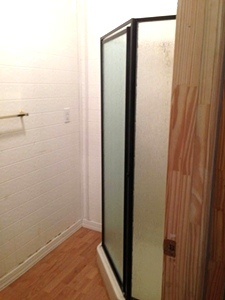 It is $80.00 per night and a one time cleaning fee of $25.00.